On a gallery-style website, digestible chunks of copy or images can be processed like a great tapas meal, argues Matthew Smith. A typical business website or new web application homepage has to lead a visitor clearly through crucial content gateways. In a matter of seconds, these sites must encourage people to keep reading or dive deeper. Hopefully, they’ll close the deal in just a minute or two. But not all websites are made to be like this. Thankfully, some are troughs of visual and linguistic delight – places where you can just pig out and enjoy the wonderful view. On a gallery-style website, we tend to look over the whole view to see what suits our artistic palette. Here, scanning takes precedence over a more traditional form of navigation. A minimal toolbar or primary navigation steps out of the way and enables us to find moments of pleasure that we can follow up and explore. We’re usually either drawn in by colourful images accompanied by metadata, or tempted to make further discoveries by short snippets of crafted copy and easy-to-read excerpts. It’s no wonder, then, that a widescreen view is often implemented on many of these websites – it just gives us even more to feast our eyes on. Think carefully before choosing a gallery-style layout for your website. For example, it’s certainly not appropriate for sites that really ought to be read sequentially. Portions of your website – such as portfolios, links or even notebook-style blogs – can be a great place to explore the technique, but use it with care. If your content isn’t easily scannable or lacks clear and quickly received content then you’ll end up creating stumbling blocks for your visitors. After that, they’ll just leave with a sour taste in their mouths. The Tumblr theme Inspire Well makes scanning web pages a joy. 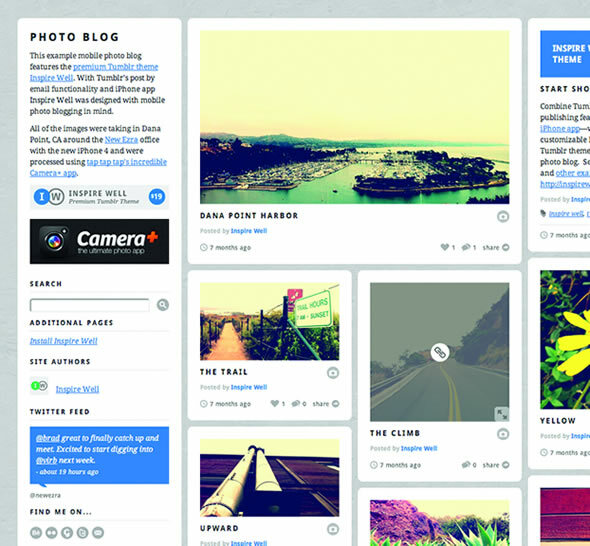 It keeps content in easy-to-browse chunks of images, videos, tweets, links and posts. Thinking for a Living pulls on the gallery style with great typographical maturity and an innovative and elegant navigation. Visitors can expect to enjoy curated mages, products, short essays and a host of other goodies. 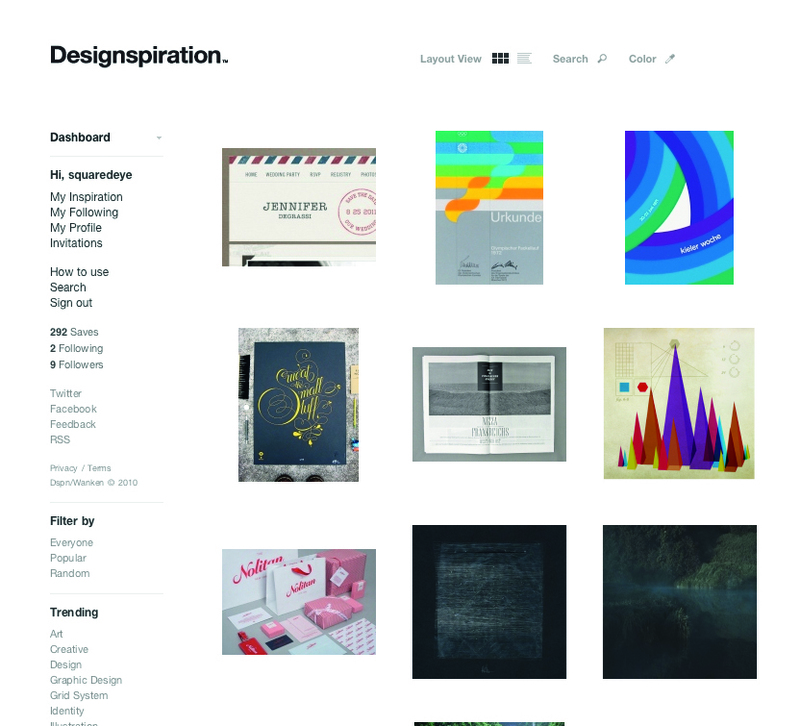 Done with a more gallery-style grid, Designspiration has been a real favourite of late. 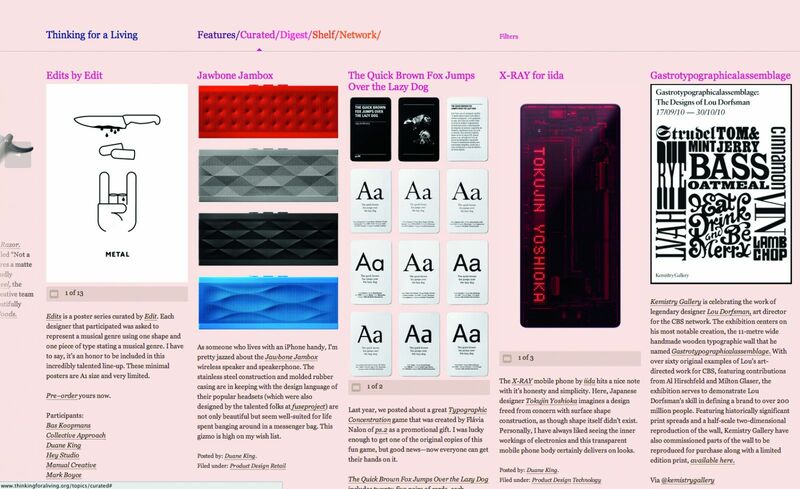 Employing a clever live search and easy keyboard shortcuts, the site is a visual feast of various items collected from across the web. 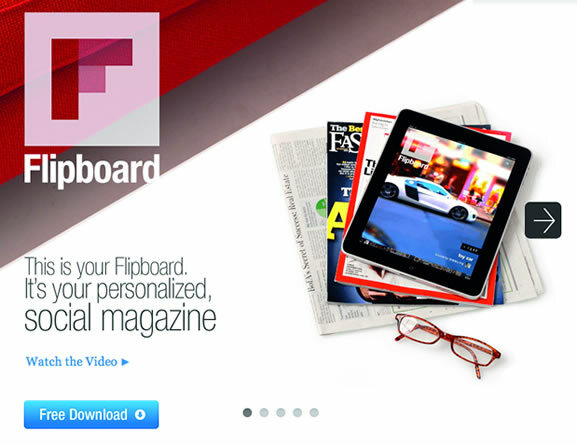 The homepage for the Flipboard iPad app is a great example of how to blend scannable style with a clear business aim. Using whitespace and simple content, it’s created an opportunity to take in bite- size visual information. It should encourage visitors to buy the app. More a tool than a site, labs.ideeinc.com/multicolr is a treat to use and a great way to explore the Flickr archives. 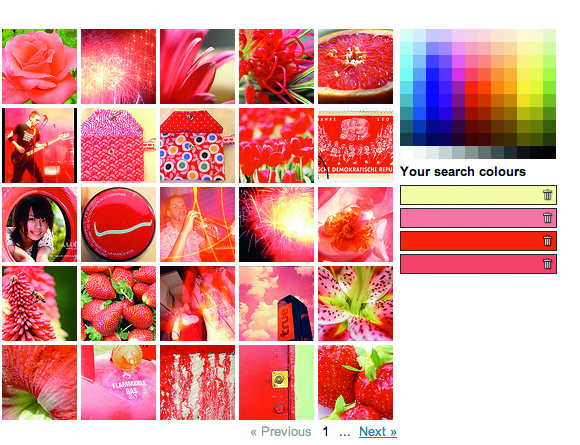 Choose up to 10 colours and the main table gets filled with stacks of Creative Commons Flickr pictures. This entry was posted in Applications, Resources and tagged gallery plugins, Image Gallery. Bookmark the permalink.